After my first ever abandoned brew day the previous weekend (I had a cold and it was too windy for the propane burner to stay lit) I resolved to do whatever it took to get a brew on the following weekend. Which was last weekend. The cold had subsided somewhat and although the weather was still cold and windy, I made a go of it. See previous posts where I muse on the life of an outdoor brewer. I was returning to where I feel most comfortable; Stout. I’d tried a pale ale and a dark ale since making the batch of coffee stout before Christmas last year and found them (the pale ale at least) lacking. The dark ale ‘bag-o-recipe’ I bought from The Homebrew Company was great. So great in fact I’ll be making it again in the summer. The ales have been something of a different experience though. 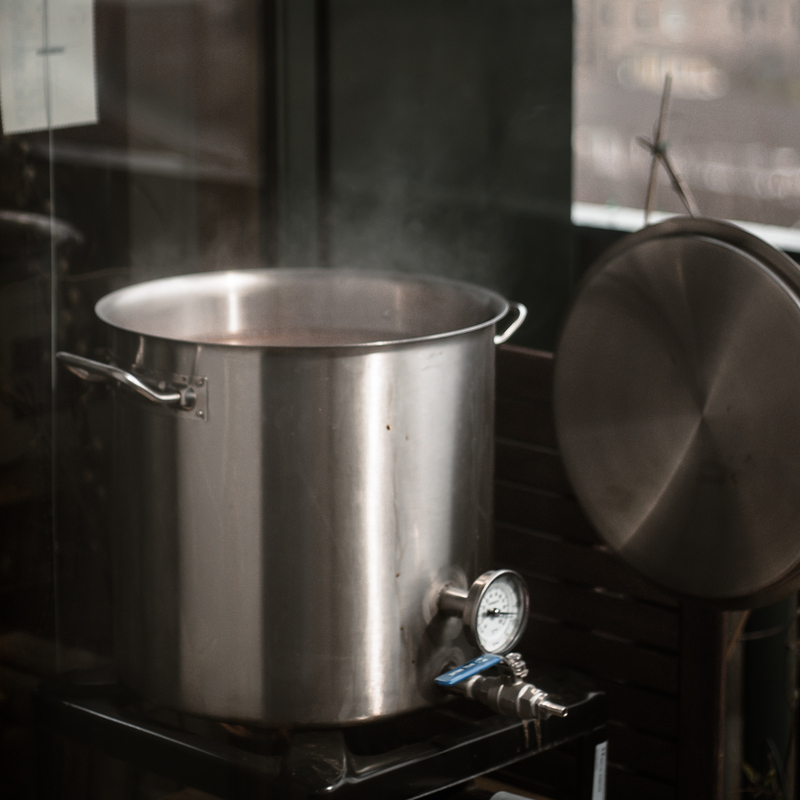 I don’t know if I’m getting off flavours when cooling (or lack of rapid cooling more specifically), if it’s something wrong I’m doing in the boil, if it’s water chemistry or if there’s something going arseways during fermentation. Too many variables. 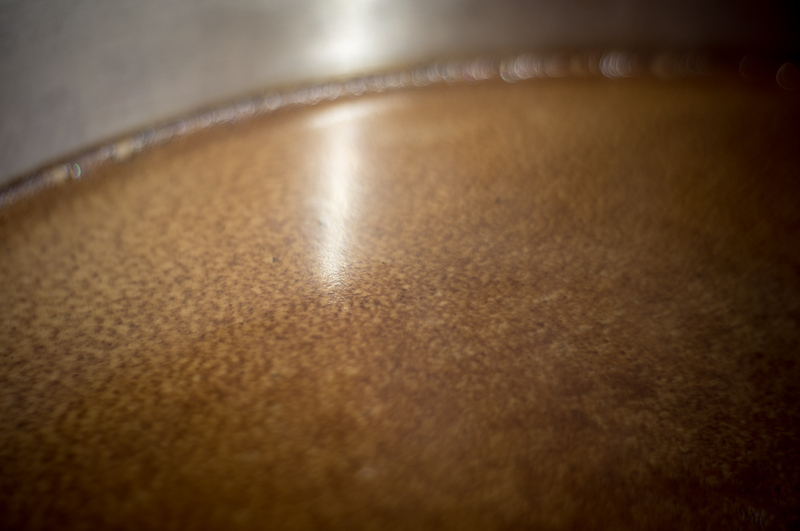 One thing I hadn’t realised until I read it somewhere online recently is that the stuff that forms around the edge of fermenter during primary fermentation is quite bitter. My practice of carrying the full fermenter from the spare bedroom into the kitchen to rack the beer into a keg will undoubtedly have mixed some of this rubbish back into the fermented beer, possibly making it the bitter, off flavoured pint to swallow that it so often is. Taking that into consideration, I’m curious if various different malts are more immune to this fermentation waste mixing in with the beer and causing unwanted bitterness. The bitterness of the dark ale I made recently was pretty much spot on and any stouts I’ve done in the past ranged from passable to wonderful. Do dark malts hide excess bitterness better than light ones? I don’t know. I need to go back to reading my books I suppose. 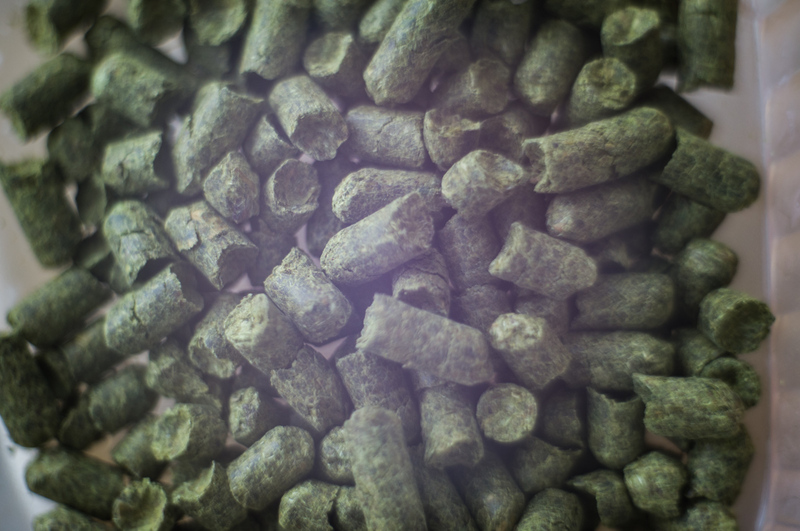 It’s also the first time I used pellet hops. Mostly out of curiosity and somewhat because the alpha acids matched up a lot better with the recipe I was attempting to follow. After using them for one brew, I see what people mean about boil overs. I didn’t get one, just narrowly avoided it. Now four days into the fermentation and the bubbling has slowed to a crawl. A day or so more and it’ll be into a keg. There are two more recipes on the immediate horizon. 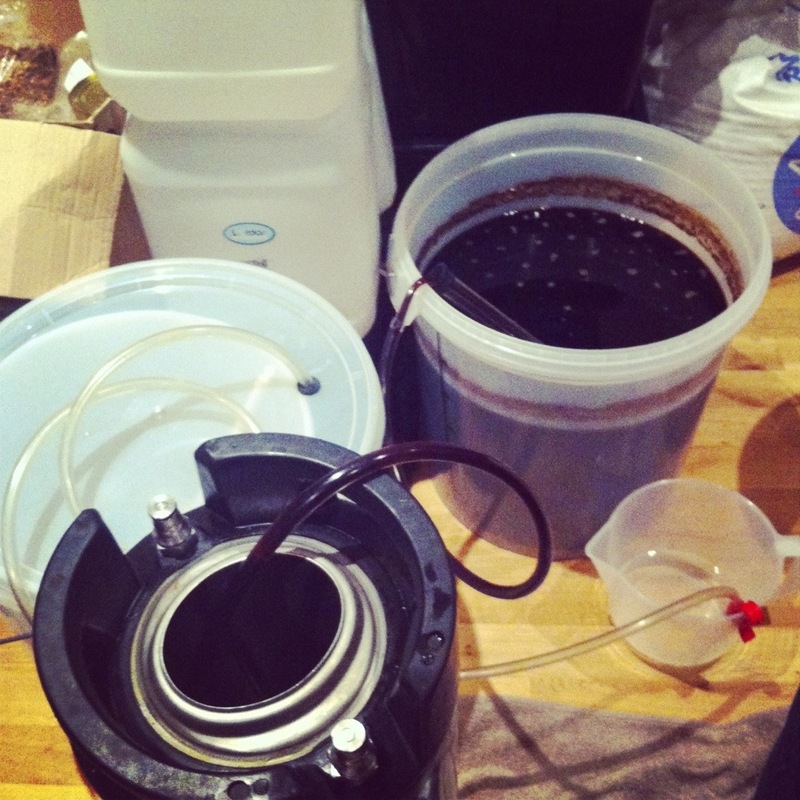 A high gravity porter which will be bottled for Christmas and my final attempt at a pale ale. If that one doesn’t work out, I’m parking the light, hoppy beers for now and concentrating on stouts, porters, dark ales and anything else above about 20 SRM. So I kegged the stout a couple of days ago and it’s pretty much spot on with what I’d expect for a milk stout. A little bit of carbonation and then I’ll start taking ‘samples’. All in all, a good brew.